Iligan City – After recently garnering the highest honor awarded by the Department of Interior and Local Government (DILG) – The Seal of Good Local Governance and the Seal of Child Friendly Local Governance, Iligan City was just awarded, the 2018 Local Legislative Award. 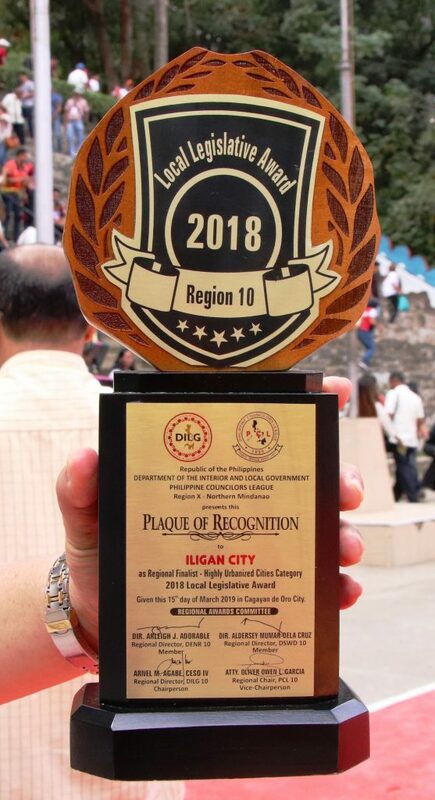 Iligan City has also been recognized as Regional Finalist – Highly Urbanized Cities by the Department of the Interior and Local Government – Regional office in Cagayan de Oro on March 15 during the Philippine Councilors League. 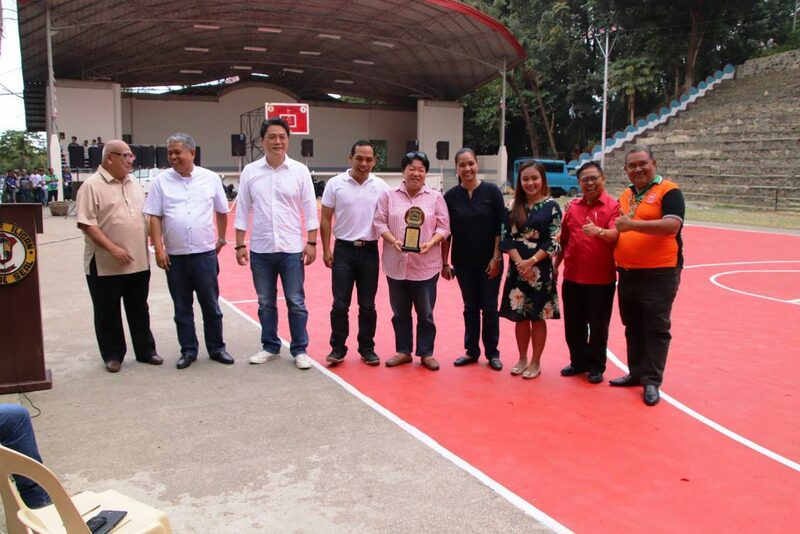 An Award of Recognition was presented to the Sangguniang Panlungsod headed by Vice Mayor Jemar Vera Cruz during the flag raising ceremony on March 18 at the Anahaw Amphitheater. The City Council of the Sangguniang Panlungsod has been honored for its exemplary performance on responsiveness to legislative agenda, easily accessible information on approved resolutions and ordinances, legislative tracking system, capability development trainings for the councilors and their staff. The Local Legislative Award (LLA), initiated by the Department of the Interior and Local Government (DILG), aims to recognize exemplary performance of the sanggunian of cities and municipalities in legislative measures and to highlight innovations and excellence in the legislative process with the end view of inspiring other local legislatures to perform better. How to obtain Local Legislative Award (LLA)? City Council is evaluated based on the criteria of the search such as effectiveness of its legislative agenda or whether it complements the Executive Agenda, developed through consultation with stakeholders and promotes provincial, regional and national priority programs. The other criteria include the efficiency of performance which means that all ordinances enacted were aligned with poverty reduction and social inclusion, environmental sustainability, climate change and disaster risk reduction and management; accountable and participatory governance; peace and security and fair, stable order based on International Law. This entry was posted	on Tuesday, March 19th, 2019 at 9:58 am	and is filed under Flash News. Both comments and pings are currently closed.